Welcome home to 3308 Ingle Avenue. 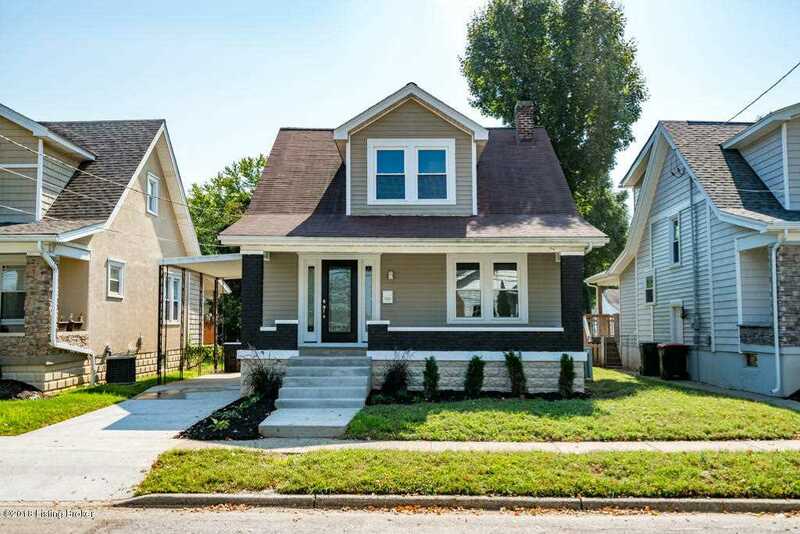 This home has been stripped to the studs and rebuilt NEW from front to back, & top to bottom. If you love the charm of an older home and the amenities of new construction, than look no further. Brand new Kitchen with granite countertops and stainless steel appliance package! Three (YES 3!) FULL bathrooms with new electrical, plumbing, and fixtures. You'll be dining alfresco on the spacious covered deck overlooking your backyard. Separate HVAC on 2nd floor and blown in insulation will keep your operating costs in check. Other updates include refinished hardwood floors, fresh landscaping, new concrete driveway, carport, & waterproofed basement. Minutes from St. Matthews, Clifton, Crescent Hill & Seneca Park! Did we mention the treehouse?! Won't last. Lot Size: 0.09 Acres / 4400 Sq. Ft. Directions:Lexington Road to Cannons Lane; North on Cannons Lane .2 mile; Left on Ingle Avenue. Home is on left side of road. SchoolsClick map icons below to view information for schools near 3308 Ingle Ave Louisville, KY 40206.